The Palace Hotel designed by Trowbridge & Livingston c. 1909 at 2 New Montgomery Street in San Francisco, California. 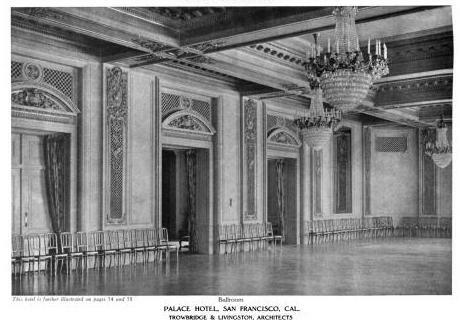 The hotel replaced the c. 1875 Palace Hotel which was demolished after the 1906 earthquake. In 1954 it was sold to Sheraton Hotels and until 1989 operated as the Sheraton-Palace Hotel. 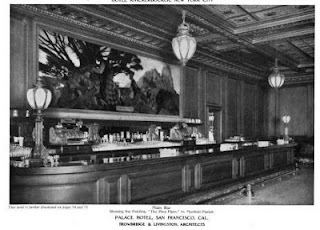 They have since dropped the Sheraton brand and it is once again the Palace Hotel. Click HERE to see the Palace Hotel on google street view. 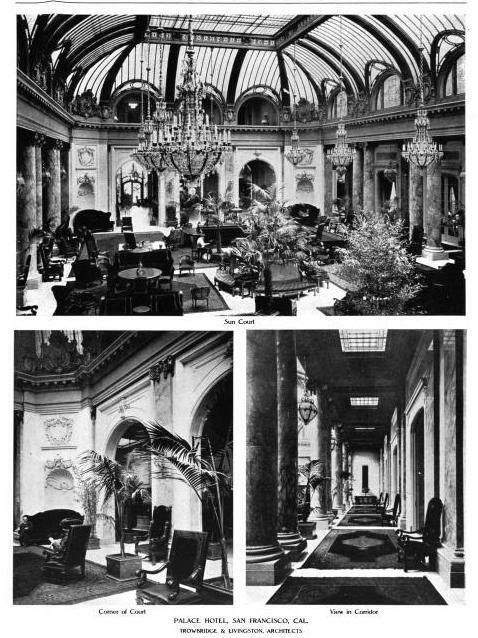 Photos from Architectural Review, 1913. 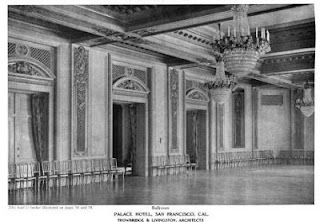 The Palace Hotel is a rare survivor still in splendid shape. The Sharon family nurtured it for half a century and then following the 1989 earthquake, owner Kyo-Ya undertook an extensive, meticulous renovation. I was able to go behind the scenes thoughout the renovation and see the incredible care lavished on this hotel. 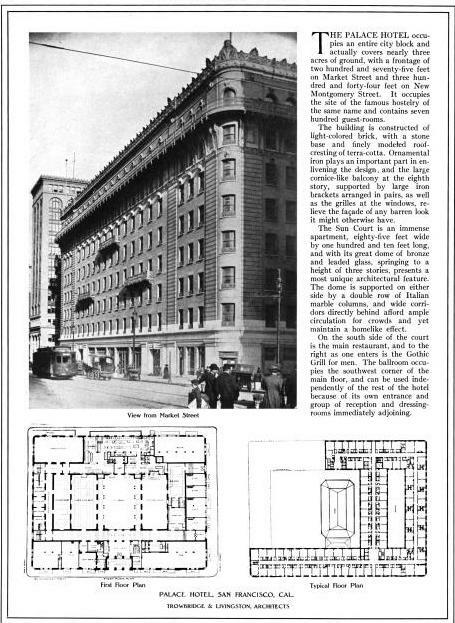 The iconic Garden Court and ballrooms were refurbished to gleaming perfection and new amenities like an indoor pool under a glass skylight were added. Over the last three decades I have been to parties, lunches, teas, dances, brunches, etc. here and have to say that every one was an occasion. This is one of San Francisco's real treasures!